Plug in and fly with almost any device, and transmit data via the Matrix 100�s dual CAN and UART ports. There are two of each port on your platform, enabling you to mount and build a system that matches your needs. Achieve perfect balance and an ideal flight experience by sliding the battery and other compartments around the body of your Matrix 100. Put your components exactly where you want them,and get the most out of your system. Flexible to match your flight needs, adjusting the arm angle of each of the 4 arms is quick and easy. Achieve increased yaw torque and greater response by tiltingthe arms to a 3 degree angle. To reduce vibrations, increase stiffness, and bring unmatched reliability, your Matrix 100 is made of strong, lightweight carbon fiber. Each of the arms contains DJI�s new soft vibration absorbing materialthat virtually eliminates feedback from the powerful motors, keeping your critical components stable and allowing unprecedented accuracy. Innovativelanding pads or �feet� are installed at the base of each arm to protect your Matrix 100 when landing. These pads greatly reduce impact, protecting your system and eliminating the chance of your platform unintentionallylifting off of the ground. Also easy and quick to remove for replacement or upgrades. Take control of your platform with the customizable, long-range remote controller included with the Matrix 100. With an operating distance of up to 1.2 miles* (2km), arechargeable battery, fully adjustable controls, andoutputs to connect to your mobile device, this is the perfect tool to command your system in the air. Enhanced GPS with a foldable mount helps you to track your Matrix100�s position in real time, while enabling faster satellite acquisition,more accurate position holding and flight planning. DJI�s new N1flight controller keeps your Matrix 100 stable and responsive to your commands throughout every flight. Transmitting data to you and bringing a live HD view (when using DJI�s X5 Camera and gimbal), the included DJI Lightbridge increases your flight range to 1.2 miles* (2km). *Maximum range tested in open areas freeof interference and may vary depending on local regulations. An upgraded version of the respected DJI E800electric propulsion system powers your Matrix 100 and keeps it in flight. Four powerful, brushless motors and four lightning fast Electronic Speed Controllers are integrated into the platform, giving you complete control during flight. With increased strength and payload capacity, you have the flexibility to create the system you need. 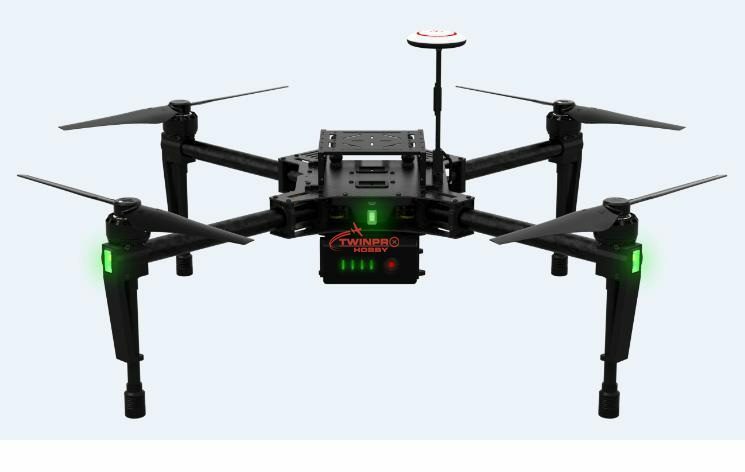  Guidance:DJI�s revolutionary sensor kit that helps your platform see its environment and recognize when obstacles or other objects are nearby.  X3 Camera and Gimbal:Shoot stabilized 4K video and capture 12 megapixel images from the sky with DJI�s integrated camera and 3-axis gimbal system.  Extra Battery:Extend your flight time by flying with an additional DJI Intelligent Flight Battery.  Expansion Bays:Use more expansion bays to put all of your desired devices onto your Matrix 100 and create a truly unique, customized platform.